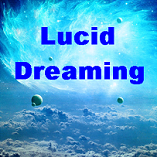 Visit TimeTravelDreams for more info about Astral Projection and Dream Techniques, Quantum Lucid Dreaming and more..
Lucid Dreaming is a revolutionary tool to explore the actual nature of reality. It can clearly show shadow issues and the limiting nature of self-attachments and may lead to an experience of non-dual awareness. Ascension Videos and information about the ascension process and raising your vibrational frequency, expanding consciousness awareness and experiencing higher dimensions. How To Create Reality Mainstream science is now recognizing the existence of parallel realities. Can we change realities by shifting our intention? This video suggests a model of six dimensions of reality that explain the power of focus to heal illness and extends to a shift in planetary consciousness to heal the world. Spirit Science videos on topics related to new age spirituality, mysticism, quantum science, esotericism and metaphysics.